This large U.S. Army issue blanket dates back to World War I and is in excellent condition. 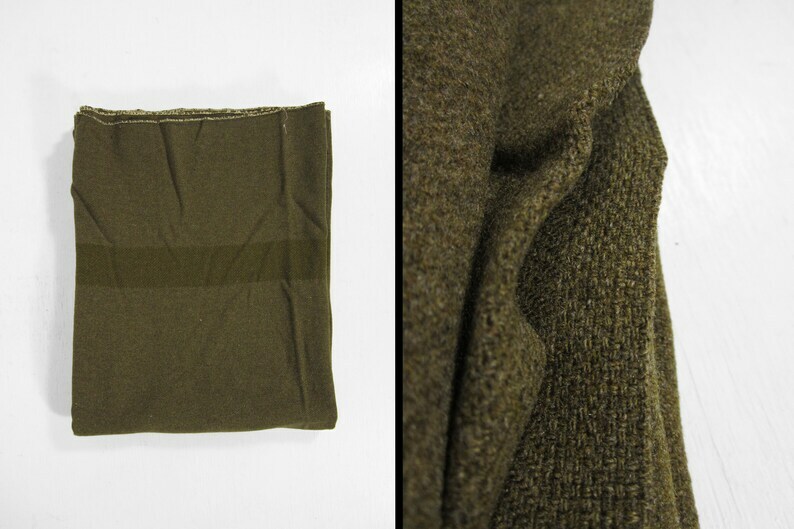 It has a brown drab stripe on either end, heavyweight olive drab wool, and selvedge sides. The only flaws are a few light spots and a very small repair or two. Vintage 1950s Ticking Material NOS Selvedge Cotton Fabric Bolt Ivory Striped Blue - 15' x 4' 8"